A new Robots! page is up today. We're just two more weeks away from the end of issue #1! 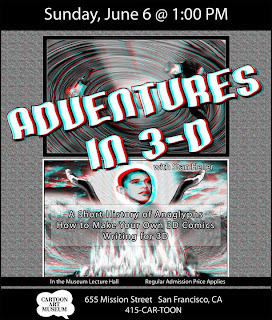 Also, for all of our readers in the Bay Area, be sure to check out Stan Heller's talk about the history of 3D comics at the Cartoon Art Museum this Sunday (June 6th) from 1-3pm. The CAM is a great museum and we've been trying to find the time to see Heller's work in person for a while now. So, if you attend and see us (we'll be the couple sitting in the front completely geeking out), say hi! 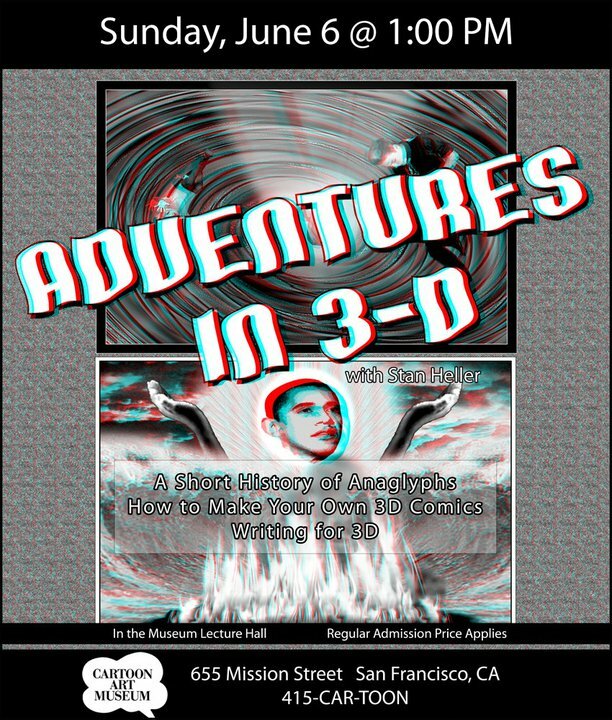 We'd love to hear from any fellow 3D enthusiasts.